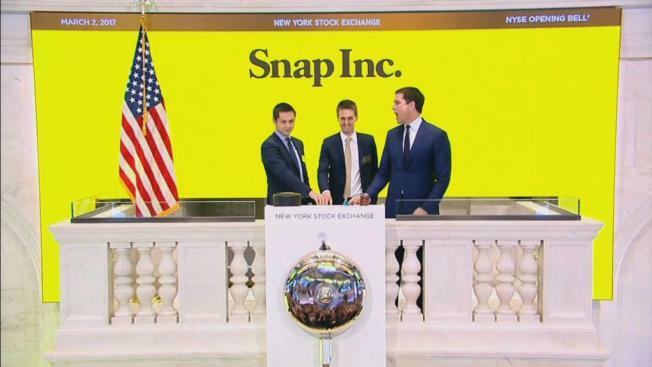 A Bay Area high school that counts itself among Snap Inc.'s first investors won big on Thursday after a booming initial public offering and first-day trading. The company behind the popular messaging app Snapchat made its trading debut Thursday after a better-than-expected stock offering. Snap had priced its initial public offering of 200 million shares at $17 each on Wednesday. Soon after Thursday's opening bell rang at the New York Stock Exchange, the stock began trading at more than $24 a share – nearly 50 percent higher than its IPO price, CNBC reported. It closed at $24.48, valuing the Los Angeles company at $34 billion. 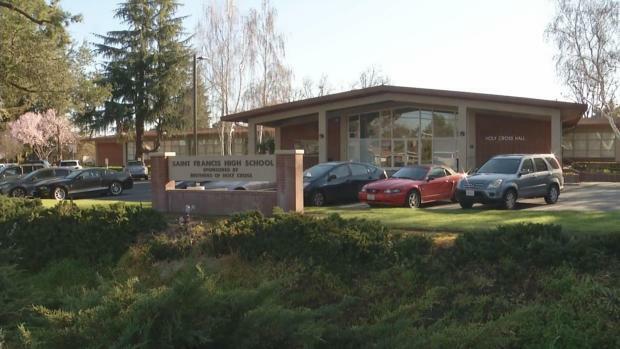 Saint Francis High School, a private Roman Catholic school in Mountain View, disclosed Thursday that it invested $15,000 of the institution’s endowment fund in Snap’s seed round of financing in 2012. "We knew teenagers were using it and this would be something big for social media," said former principal Kevin Makley. That money translated into more than two million shares for Saint Francis. Of that, the school has sold 1.4 million at $17 a piece, earning nearly $24 million, officials said. Saint Francis is holding on to roughly 600,000 shares, knowing that they may end up being even more lucrative. "I am absolutely celebrating. This is a tremendous day!" Makley said. Five years ago, Natalie Eggers, then a student at Saint Francis, alerted her father, a venture capitalist, about the burgeoning social messaging app. She said all her friends were obsessed with it. Popular with the young people, Snapchat is best known for disappearing messages and quirky face-filters for jazzing up selfies. Barry Eggers, a partner of Lightspeed Venture, listened to his daughter and his firm became one of Snap’s first investors with $485,000 in early 2012, the New York Times reported. Lightspeed invested a total of $8.1 million in Snapchat over the years. Eggers also persuaded SF Growth Fund, Saint Francis' student-run endowment fund that helps pay for scholarships and subsidized tuition, to get in on Snap, he wrote in a post published on the company's website. Makley recalled Eggers' non-traditional investment idea. "When we started this fund so many years ago, this is what we dreamed about. Now the dream is true!" Makley exclaimed. Meanwhile, Saint Francis released a statement, part of which read: "Snap’s IPO represents an incredible opportunity to help the school, its students and their greater community for years to come." The school is still working out exactly how the money will be spent, but officials say the financial aid program is their top priority. "It’s good news for the school," said parent John Dugan, a "tremendous opportunity." NBCUniversal, the parent company of this site, invested $500 million in Snap during its IPO as part of a strategic investment and partnership, CNBC reported.